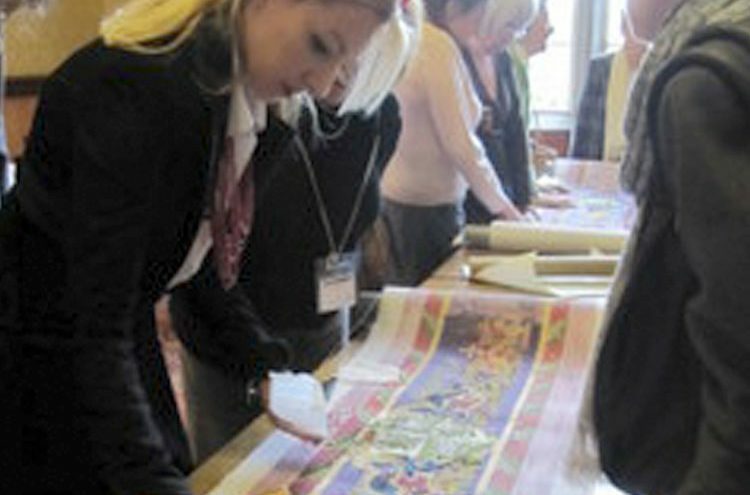 As mentioned at the December 2011 lecture, Fylde DFAS has been invited to take part in a regional collaborative heritage project, together with members of the Salmesbury, and Ribble and Craven DFAS groups. 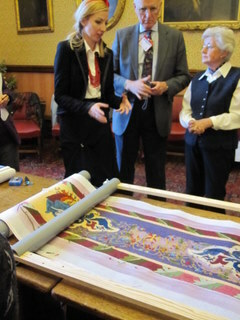 The activity is to embroider kneelers for the chapel at Lancashire-based Stoneyhurst School. The project will be led by Helen McCook,embroiderer, and textile artist, who also helped make the lace which went on Kate Middleton’s dress, wedding shoes and veil. The project is described as ‘easy sewing’, comprising a mix of five stitches. The canvas already has the design painted onto it, so it is a bit like the painting by numbers concept, and there is no counting involved to put off those who are numerically challenged! Wooden tapestry frames will be supplied. This is an exciting opportunity for people who enjoy embroidery. It is also a brand new development for Fylde DFAS and is an opportunity to work alongside other societies, something that members raised in the last evaluation. If you are interested in getting involved please contact Fylde DFAS’s Vice Chairman Philip Bailey on 01200 423230.